Sade Abraham’s timing could not have been better. Her queries landed her in the office of Katherine Steele, who heads the College’s suite of pre-orientation programs for incoming freshmen, on the same day that Harvard posted a job for a director for its newest offering, FYRE (First Year Retreat and Experience). “It was divine intervention,” Abraham mused. FYRE was developed to help first-generation, low-income, and other students from “historically marginalized communities”—who often arrive on campus lacking the social capital of their affluent peers—acclimate to Harvard. This August, 100 College freshmen will arrive three days before the official move-in for the class of 2022 to participate in the inaugural offering of the program, an experience that will include academic orientation, advising, and social events with peers. The program is at capacity after receiving more than 200 applications. (About 17 percent of the 2022 admitted class is first-generation.) FYRE leaders collaborated with the Admissions Office to identify and recruit students who would benefit from the program. A little over a year ago, it seemed as though a program like FYRE wouldn’t launch at Harvard. Proposals to create a bridge program for first-generation students were, until last summer, rejected by the College. The idea for a program to help first-generation and low-income students master the “hidden curriculum” of Harvard began to pick up steam in 2015, when Savannah Fritz ’17 submitted a proposal to the Undergraduate Council for a “Freshman Enrichment Program” (FEP) that would bring low-income students to campus before the start of the semester to meet College administrators, receive academic advice, and learn how to navigate support resources like the Office of Career Services and the financial-aid office. Steele later proposed the First Year Institute, which was modeled after the FEP. Dean of the College Rakesh Khurana rejected that proposal in 2016, however, arguing in a joint op-ed with then dean of freshmen Thomas Dingman that the program was too “narrowly focused” and that a “holistic post-matriculation approach” was better suited to help students make the transition to Harvard. agency capital, or a sense of pride and belonging. Abraham looked to research conducted by University of Michigan professor of education Tara Yosso, whose article “Whose Culture Has Capital?” formed a jumping-off point for the program’s curriculum. Yosso argues that traditional interpretations of cultural capital consider communities of color to be culturally deficient, or lacking certain types of cultural capital. She advocates instead for a lens that looks at the array of “knowledge, skills, abilities, and contracts” that socially marginalized groups have. Abraham borrowed some of the types of capital Yosso identifies in the article for the FYRE program. FYRE leaders also consulted similar pre-orientation programs at schools like Princeton and Brown, which can run the gamut from multi-week introductions to academic skills to a week of general orientation to the college. Headlining the program is a welcome dinner in the open reading room of Widener Library, where students will meet one other, share stories, and hear from University faculty members and administrators about the journey that brought them to Harvard. Perez said program leaders are preparing a “book-giving” program, where FYRE’s participants will each receive one book signed by a professor or administrator. The program is built around a “family” model that some other pre-orientation programs like the First-Year International Program use. It pairs two “leaders,” both upperclassmen, with 10 FYRE participants for the length of the program and encourages them to remain in contact during the academic year. 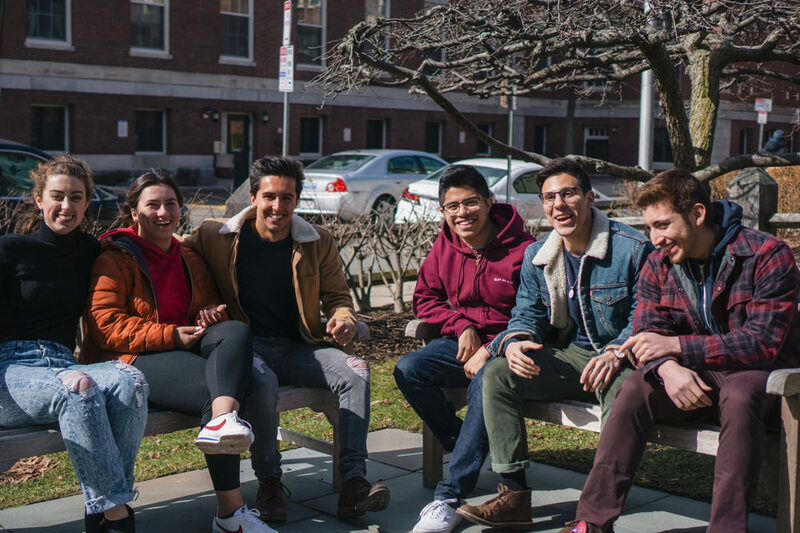 Often, the older students will become a source of advice for navigating Harvard, helping younger program participants access its diffuse network of resources, and offering personal advice. Throughout March and April, FYRE received more than 60 applications from undergraduates for 16 spots. Perez and James Bedford ’20 (the other FYRE co-chair) interviewed candidates over the span of a week, deliberated for eight hours, and compiled more than 30,000 words of notes before making their decisions. The upperclassmen who were chosen will lead FYRE participants as they attend a mix of academic and navigational workshops, held by Harvard offices, designed to help them fortify the academic skills needed to tackle college-level assignments, as well as résumé workshops with the Office of Career Services. To teach students the navigational skills they need to access Harvard’s resources, FYRE plans to hold a “speed-dating” session where students can meet representatives from offices like University Health Services, the Bureau of Study Counsel, and Counseling and Mental Health Services. Abraham said a Faculty Open Mic Night is also scheduled—“Think White House Correspondents dinner, less politics, more laughter”—where professors will speak about encountering success and failure in their professional lives. “One of the things we’re really working on is the narratives of success and failure, so that when you run into success—which you will—you know what it looks like,” she said. Perez said FYRE has created a newsletter it will use to communicate updates about the program and tips about preparing for college with participants throughout the summer. FYRE team leaders and “program associates”—undergraduates who may not serve as leaders, but indicated interest in helping out with the program—are creating a “Guide to Harvard,” similar to the pamphlet the Freshman Dean’s Office sends students each year but tailored to the backgrounds represented among program participants. The team will also host “FYREside chats” over the summer where program participants can connect with student leaders via Google Hangouts and ask about anything that’s on their minds. Because of conflicting start dates, students participating in FYRE cannot participate in most of the other pre-orientation offerings like the Freshman Urban Program or the First-Year Outdoor Program (FOP). But students who are interested in taking part in Fall Clean-Up (FCU)—which pays incoming freshmen to clean dorms around campus in the week before school begins—may split their time between FYRE and FCU. Still, Abraham said FYRE has been looking for ways to collaborate with existing programs. She said one such collaboration between FYRE and the FOP is in the works that may see FYRE participants attend an outdoors retreat during Labor Day Weekend. (She said she believes Labor Day Weekend—during which many undergraduates leave campus—may be an alienating experience for first-generation and low-income students who lack the means to travel or the connections and destinations to make such a trip so soon after arriving at Harvard. FYRE also intends to hold social events and workshops throughout the year for participants and the “extended FYRE family,” including those incoming students who expressed interest in being involved with the program but may not have been offered seats. Brandon J. Dixon ’19 is this magazine’s 2018 Daniel Steiner Undergraduate Editorial Fellow.